The RNT Foundation has an ambitious and aggressive outreach program to members of the public, the navigation and timing industry, and policy makers in both legislatures and administrations. In any given week we are meeting with Congressional staffs in Washington, D.C., talking to staffs within the executive branch of the U.S. government, conferring with industry representatives, and corresponding with partner individuals and organizations supporting resilient navigation and timing across the globe. Most segments of global economic activity and society depend upon navigation and timing systems for some part of their function. The U.S. Department of Homeland Security identifies 16 critical infrastructure, and has stated that 11 of those rely upon satellite timing signals as an essential part of their operation. And all 16 sectors use satellite navigation and timing to some degree. This is true across the globe. Any system that depends upon a single source for anything is fragile and subject to rapid and unanticipated disruption or failure. In any given “eco-system,” the navigation and timing sources used should be as resilient as possible and have different failure modes so that events that could disrupt one, would be unlikely to impact others. RNT Foundation encourages development and use of multiple resilient phenomenonologies for navigation and timing as part of our education and outreach program . Visit our Library for a sampling of technologies, and what some nations are doing to enhance resilience. Use of jamming and spoofing equipment is illegal in most countries. But the lack of detection and location networks, along with small enforcement staffs, make enforcement difficult. Also, most of the applicable laws were passed before satellite navigation and timing existed, so maximum penalties often do not reflect the potential impact on economic activity, damage to property, and human injury or loss of life. The RNT Foundation promotes appropriate laws and enforcement that reflects the potential damage that can be done and will deter/prevent jamming and spoofing. We are now developing our legal and enforcement recommendations for governments. If you know of existing work in this field, or would like to contribute, please let us know. 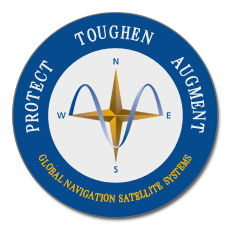 Navigation and timing services are the “invisible utility.” Few members of the public or political leadership understand the importance of these services, or how much depends upon satellite signals. The principles and actions we promote apply to every nation. We will take every opportunity, resources permitting, to make our education program international in scope. This will include publication and outreach through a variety of media and forums. As a new organization, located in the United States, the majority of our initial efforts will be focused in the U.S. This supports our global mission, though, as the United States is the world’s largest economy, is a world leader in technology, and is the largest nation to not have a resilient terrestrial wide area navigation and timing system available to all users. Improved policies and systems in the United States will set an example and provide lessons learned for other nations. Every month the RNT Foundation meets or has contact with navigation and timing leaders within the executive branch of the U.S. government, and with senior staff members of important congressional committees. We also participate in a number of professional forums and events. Some of the public events are listed here.